Synopsis: This week we talk to Victor Mosquera, an incredibly talented video game concept artist who has shown work in the Macro + Micro and In Place exhibits. But first, Jenny, Chris, Francesca and Lindsay share their thoughts about last week's Create, Concept and Collaborate workshop hosted by Mike Yamada and Victoria Ying. 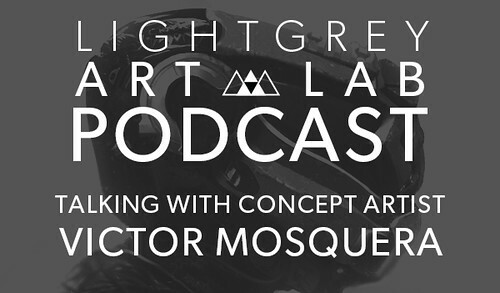 In the second half of the podcast, we talk to Victor about his experience as a concept artist, his roots in traditional media, how he got started in the industry, the importance of reference and life drawing and lots, lots more. And of course, In Place: Wish You Were Here.